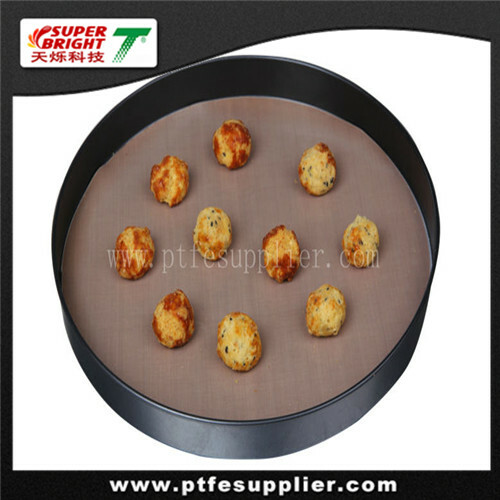 Non-stick Cooking Liner For Frying Pan slides beneath your oven's bottom is used for catching all the messy drips from pies, cakes, and casseroles that bubble over then you can just wipe them right off the slick surface. With this reusable oven liner with a 100% non-stick surface, your days of scrubbing the oven floor are definitely over! The oven liner can be used for years on either side. Food approval, with FDA and SGS certification. ·Cut the oven liner to size and place the liner on the lowest shelf in your oven. ·Do not put the liner directly on the oven floor. ·Let the oven cool down before removing the liner. ·Avoid using metal, sharp or pointed objects on the liner, they might damage the liner. ·Do not put the liner in direct contact with flames, burners, grill or heating elements. ·Never put the liner on the floor of the oven, but always on the bottom rack! ·Do not cover ventilation holes of the oven (gas oven).